Cozen O'Connor's Property Insurance Law Observer | Covering state and federal first-party property insurance decisions, laws, regulations, and developments effecting the insurance industry. 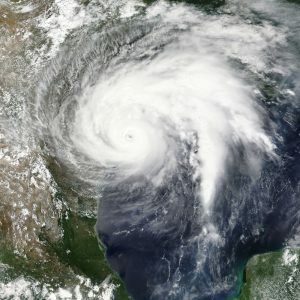 While Hurricane Ike made landfall in Texas almost ten years ago, the resulting litigation is alive and well as evidenced by the recent decision in Texas Windstorm Insurance Association v. Dickinson Independent School District, 14-16-00474-CV, 2018 WL 2436924 (Tex. App.—Houston [14th Dist.] May 31, 2018, no pet. h.). 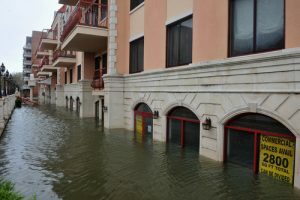 In that case, Houston’s Fourteenth District Court of Appeals addressed whether an unpaid appraisal award established an insurance company’s liability under a named-peril insurance policy as a matter of law. In analyzing and applying the Supreme Court of Texas’s decision in State Farm Lloyds v. Johnson, 290 S.W.3d 886 (Tex. 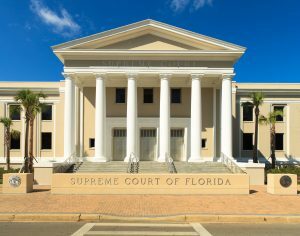 2009), the court held that the appraisal award, by itself, did not conclusively establish liability for purposes of the policyholder’s motion for summary judgment as to causation and damages. At the time Hurricane Ike hit Galveston County, Texas in 2008, the Dickinson Independent School District’s (“DISD”) property was insured under a named-peril commercial policy issued by the Texas Windstorm Insurance Association (“TWIA”). Id. at *2–3. DISD made a claim with TWIA for hurricane-related property damage, and eventually filed suit against TWIA for underpayment of the claim. Id. at *3. In response, TWIA invoked the appraisal process. Id. Thereafter, the court-appointed umpire and the policyholder’s appraiser signed an appraisal award for over $10 million (about $8 million more than TWIA’s prior claim payments). Id. 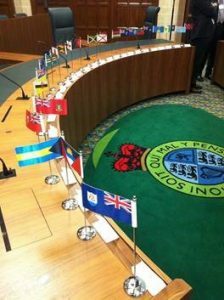 In a rare foray into insurance law, London’s Privy Council considered the interpretation of a Contractors’ All Risk (CAR) policy in Sun Alliance (Bahamas) Ltd v Scandi Enterprises Ltd (Bahamas), and overturned the decision of the Court of Appeal of the Bahamas. The Judicial Committee of the Privy Council in London is the final court of appeal for several former British colonies. Its decisions are binding on those jurisdictions and are also considered to be of very persuasive authority in the UK and in former British jurisdictions now possessing their own final courts of appeal, such as Canada, Australia, Singapore, Hong Kong and many others. Its members are drawn mostly from the UK Supreme Court. Importantly, Section 542A finally affords insurers the opportunity to amicably resolve disputed claims without protracted litigation. However, insurers need to be prepared to make quick strategic decisions to take advantage of the law’s protections. 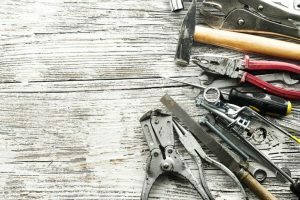 The practical effect of Section 542A is to give insurers 60 days to “get their house in order” and make decisions that can provide generous protections from both contractual and extra-contractual liabilities. 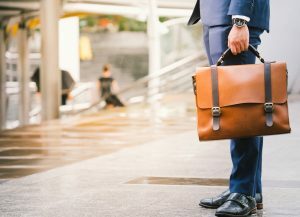 The key tenet of Section 542A is the change that it made to the pre-suit notice requirements in insurance-related litigation. 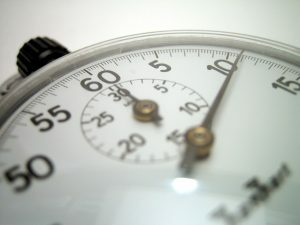 For years, the Texas Insurance Code required a potential litigant to notify an insurer of the basis of the insured’s dispute at least 60 days before filing suit. The original purpose of this requirement was always to give the insurer and insured an opportunity to resolve the dispute amicably and without litigation. This year was off to a positive start in the realm of property insurance with a decision out of the Second Circuit upholding an at times embattled policy provision that is found in nearly every property insurance policy: the late notice provision. Courts’ varying enforcement of such provisions has hindered insurers from enforcing rights vital to protecting their ability to start investigating a loss as quickly as possible. The opinion in Minasian v. IDS Prop. Cas. Ins. Co., 676 F. App’x 29 (2d Cir. 2017) was thus welcome news for the insurance industry, with the appeals court enforcing the late notice provision in a series of property policies which required that the insured provide its carrier prompt notice of a loss. The Minasian case concerned insureds who made a claim on three insurers arising out of the burglary of nearly $200,000 worth of stolen goods, including jewelry. The insureds waited 86 days, which is nearly 3 months, to report the loss to their insurers, even though they had filed a police report on the day of the burglary. 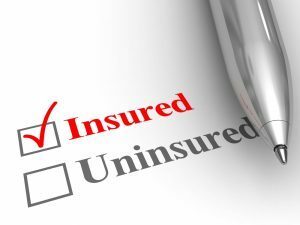 The three policies required that the insured to provide notice of loss to the insurer “as soon as reasonably possible,” “immediate[ly],” and “as soon as practicable.” Considering these provisions, the insurers denied coverage based on, among other reasons, the failure to give proper notice. In February, the Nebraska Supreme Court held that it is acceptable for insurance companies to depreciate labor costs when determining the actual cash value (ACV) of damaged property, even when the insurance policy does not define “actual cash value” or “depreciation.” See Henn v. American Family Mutual Insurance Co., 295 Neb. 859 (Neb. 2017). Writing for the Nebraska Supreme Court, Chief Justice Michael Heavican concluded that all relevant facts and evidence should be used to calculate ACV, and both materials and labor constitute relevant facts to consider when establishing the value of property prior to the loss. 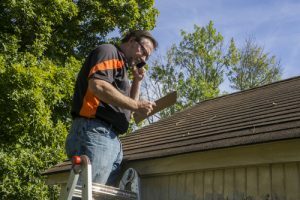 The case dates back to a September 2011 dispute when Rosemary Henn filed a homeowner’s claim with American Family due to damage to her home’s roof vent caps, gutters, siding, fascia, screens, deck, and air-conditioning unit during a hailstorm on August 18, 2011. American Family determined that Henn’s insurance policy covered the damaged property. Are an insurer’s attorney’s fee bills discoverable in first party claims? In In re Nat’l Lloyds Ins. Co., 2017 Tex. LEXIS 522 (Tex. 2017), the Texas Supreme Court considered this question in a hail MDL dispute and answered “No” in a lengthy opinion. The opinion is the latest development in a long-running dispute over “storm chaser” claims that recently gave rise to another round of tort reform in the Texas legislature.